Every car comes equipped with a number of hoses under the hood. These hoses connect many operating systems in the automobile and are integral to the optimal performance of the car. The hoses themselves need to be in good shape, but the clamps that attach the hoses to various parts of the car are also very important. 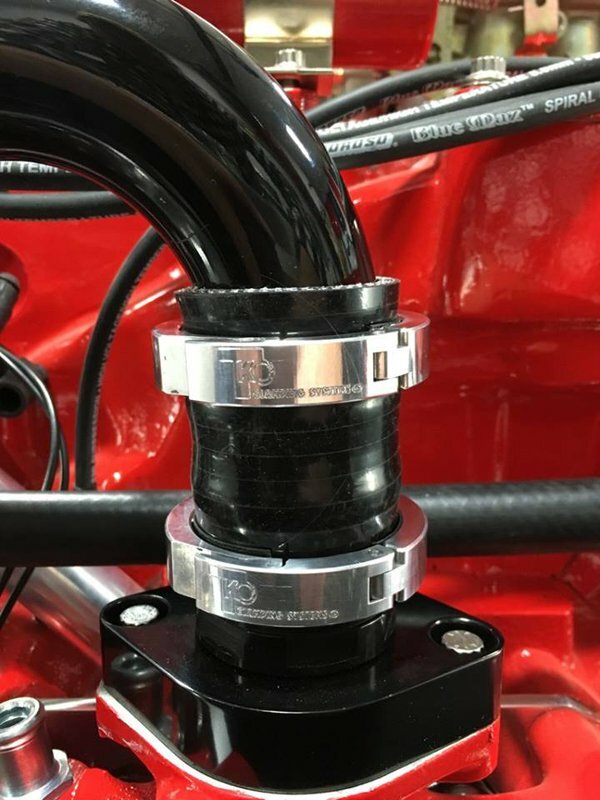 What kind of auto hose clamps are used for each hose and how they are installed can make the difference between an efficiently running car and one that doesn’t run at all. Engine hose clamps are used throughout the engine compartment of all automobiles. Cooling systems will have heater hoses and radiator hoses. There are vacuum hoses for brake systems and for windshield wiper fluid, among others. There are also fuel and hydraulic hoses, but these will often have built in fasteners instead of utilizing hose clamps. In any case, there will be several automotive hose clamps used in any given automobile. Each type of car hose clamp has its application benefits and particular installation process. Ear hose clamps appear as a band of stainless steel with one or two “ear-like” protrusions in the band. These “ears” are crimped with a special tool known as hose clamp pliers or “pincer” pliers. When the “ear” or “ears” are crimped with the pliers, the clamp permanently tightens around the hose. This type of clamp cannot be reused, as it will be rendered useless once it is removed. Removal is fairly easy with a flat head screwdriver or the pincer pliers again, or with a set of side snip wire cutters. Ear hose clamps are used on a wide variety of automotive hose types, including fuel lines, hydraulic lines, and cooling and vacuum hoses. Screw clamps, also commonly called worm gear clamps, are a popular type of engine hose clamp. They are familiar to most people and they are easy to install and remove. These clamps also are fashioned from a band of metal which has slit like holes along the length of the band. An encased screw is attached to the band and as the screw is turned (with a screwdriver) the band gets narrower or wider depending on the direction the screwdriver is being turned, as the screw moves along the holes in the band. These auto hose clamps are very popular and inexpensive, but can cause damage to rubber hoses due to the slits in the band possibly cutting into the rubber. Also, the screw can be stripped, causing the clamp to loosen. If these are used it will be prudent to occasionally check the tightness of the screw and the integrity of the hose the screw clamp is on to prevent leaks. Wire clamps, also called double wire clamps, are fashioned from thick steel wire wound into a ring with one end of the ring overlapping the other end. At each end of the wires there is a small piece of metal called an eyelet with a hole in it. Through these you thread a screw, which when tightened, pushes the overlapping wires apart from each other, which tightens the ring around the hose it is on. These tend to be fairly heavy duty types of engine hose clamps, making them a good choice for larger sized hoses such as radiator and heater hoses. Removal of wire clamps is as easy as their installation, simply remove the screw and loosen the wires to pull it away from the hose. Flat band spring hose clamps are made from spring steel. When fashioned into a ring, they have bent out tabs that when squeezed together with pliers, fingers, or specific flat band hose clamp pliers, cause the ring to open wide to fit over a hose. When the tabs are released, the spring steel “springs back” to its original diameter with a uniform and constant pressure around a hose. They are especially preferred for cooling systems. These hoses change as they age, the rubber can get softer or harder, shrink or swell up. The spring hose clamp will maintain its pressure on the hose even as the hose changes. Also, when a car is being driven, there are vibrations and other movements that can, over time, loosen other kinds of hose clamps. Flat band spring clamps maintain their constant pressure however, even with vibration over time. For these reasons, this type of spring clamp is used for cooling system hoses, vacuum hoses, even on fuel lines in some cars. Smaller sized flat band spring clamps can be removed with pliers, but some larger sizes, or hoses in small spaces may need to be removed with a cable operated pair of pliers. For hoses that do not need a tight connection to a barb, round wire clamps are sometimes used. These look like the clamps used to secure weight plates onto barbells at the gym. Simply a length of spring steel wire fashioned into a loop with the end bent opposing each other. These are easily opened and closed by hand. They do not seal a hose necessarily, but rather just hold it in place. 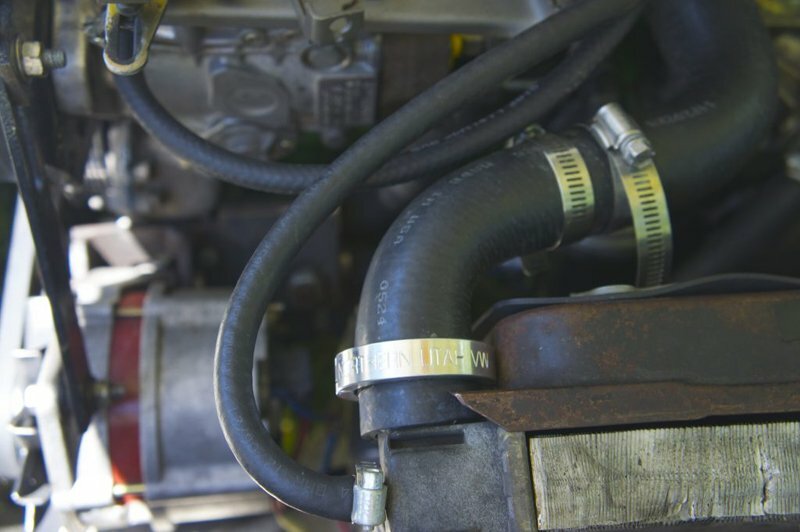 While the four most common types of hose clamps discussed here do their job of sealing hoses to their engine components well enough, innovations have been made. TKO Clamping Systems has developed a new kind of custom hose clamp. This clamp is fabricated out of aluminum, is multi-hinged and locks into place with a latch type mechanism. To install, a hose does not even need to be removed, the clamp will open wide enough to fit over the hose, and then closed and locked tightly into place. They can be removed with a flat head screwdriver, and they are reusable. Like the previous car hose clamps, they come in a variety of sizes and custom made for whatever hose application they are needed for. For aesthetics and interest, these TKO clamps are available in several colors and can be engraved with a personal design as well. Choosing the best auto hose clamp for a particular hose should not be difficult. All of the common types of hose clamps will suffice, though some may be better than others for particular widths and thicknesses of hoses. The TKO clamps are an outstanding alternative to the traditional auto hose clamps and will work for all sizes of hose. Their ease of installation and removal with no need for special tools is an advantage as well.